AFAIK, Italian pilots were VERY conservative concerning the cockpit and the canopy. At least during the early WWII phases, they literally fought against closed cockpits, hence the open cockpit of the Fiat G.50. I am not certain if this had still an influence on the later designs, I guess that Italian designers were just lagging behind due to the earlier "problems" with the crews. AFAIK, Italian pilots were VERY conservative concerning the cockpit and the canopy. 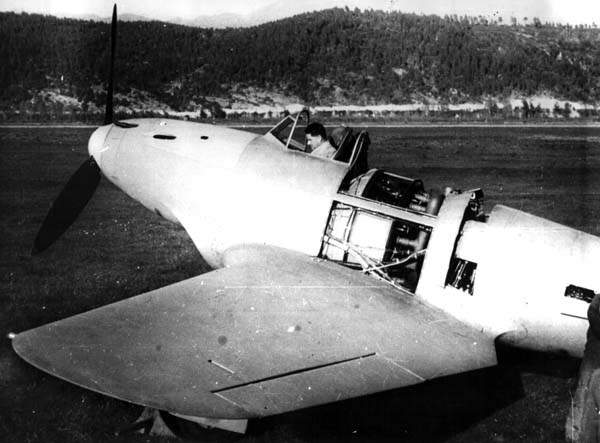 At least during the early WWII phases, they literally fought against closed cockpits, hence the open cockpit of the Fiat G.50. Very true Dizzy and it wasn't just the Italian A.F. either, although they did hang on longer. The R.A.F. and French Air Forces were also prone to this conservatism and quite possibly other air forces were as well. To some extent it's understandable, at least in the mid 30's, with expected operational heights still being relatively low enclosed canopies were seen as simply affecting the pilots vision for no advantage. It was really only with the increase in operational heights that this conservatism was overcome. IMO top one is beautiful, and bottom one is extreme. A shorter Fw 190 fuselage would IMHO look better? 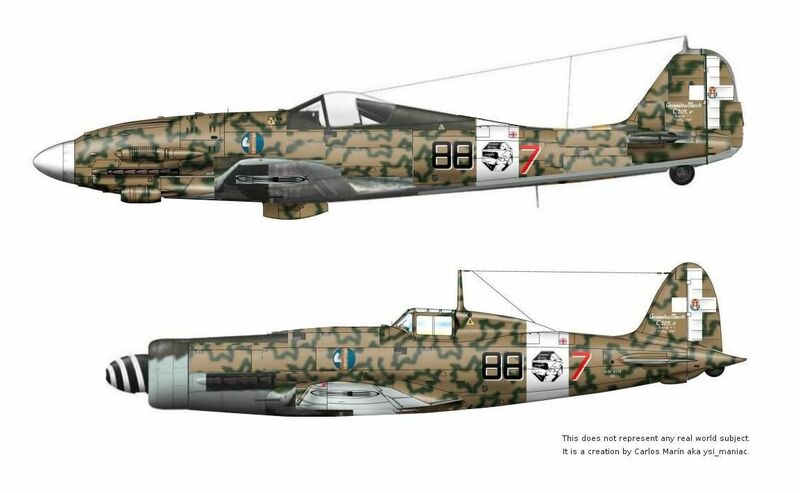 The Italian scheme suits the Fw 190 well, though. Have to say, do like the top one. Very sleek. A RADIAL engine in the middle of the fuselage? That's different for sure. Cooling must have been a bit of a problem I'd have thought. Cooling air ducted in from under the leading edge by he look of it. Which will be a high pressure area in flight but ground running could lead to overheating unless there is some sort of fan. Using that as a guide, you could imagine converting any centrifugal-jet-engined fighter to a mid-engined prop-job by replacing the jet with a radial. IIRC, I worked out that a Centaurus would fit in place of a Nene, so prop Sea Hawk, prop Attacker, prop Panther all become possible. A Centaurus engined Swift, just what RAF Fighter Command would have needed. -"Unlimited technology from the whole universe, and we cruise around in a Ford POS?" -"Nothing is as it seems, guy!" Particularly like the "Shinden" . I assume it is, rather than a development of the S.A.I. SS4 ?